Torpedo matt textured white slim aluminium radiator. A modern tall vertical wall mounted tubular designer radiator. Ideal for medium to large kitchens, bedrooms and other living rooms in the domestic home. Very high heat output exceeding 9000 BTU. Measures 1800mm high x 445mm wide. Torpedo High Output is a vertical wall mounted modern radiator range with one of the highest heat outputs available in all the designer radiator market. Despite a relatively narrow width, the range has tremendous heat outputs of up to 2000 BTU per 100mm of width. This makes Torpedo High Output the perfect choice for large rooms even when the available area for installation of the radiator is only narrow. It is possible with the full height, high level 1800mm high models to buy a radiator with more than 13000 BTU of heat output from stock for next day dispatch. The possibility to heat a large lounge or living room with one radiator! Add two Torpedo High Outputs together and you can heat an open plan kitchen and dining room easily. For a smaller width, this range will outperform any basic standard flat panel double radiator and look mightily more decorative and fancier in the process. It is important to appreciate the fine design details of the Torpedo range. All models have top and bottom contrasting matt silver air flow caps included as standard. All models have blank plugs with matt silver cover caps to cover unused tapping entries. Torpedo is a very modern range and with its curved edge profiles, it looks fantastic both from the front and when approached from the side. Wherever you install Torpedo, it will look amazing. Available for sale here as a central heating radiator range, this vertical Torpedo range is available in 4 matt, very slightly textured, stock colours to suit the latest trendy styles. Use the filters on the left-hand side of this page to view the coloured options listed below. 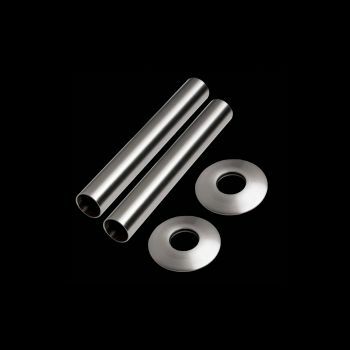 The Torpedo range is very energy efficient because it is manufactured from aluminium. The aluminium flat panel profiles have internal extrusions of high heat output distributing fins. These fins transmit the heat from the radiator into the air very quickly and because the surface area of these fins is so large, Torpedo only needs 40-60% of the water content of a similar steel designer radiator. You will be lowering your energy bills installing this aluminium designer radiator range. Each flat panel profile is finished top and bottom with a contrasting satin silver air flow cap. This design feature allows Torpedo to draw cold air up from the floor and convect hot air out through the air flow caps at the top. This is known as convection heat. Torpedo also emits radiant heat out of the front of the profiles just like a normal designer radiator. This is known as radiant heat. Torpedo heats your living rooms using two methods of heat distribution and therefore has the advantages of being a convection and radiant heat range. Aluminium is also much more resilient than mild steel to internal and external corrosion and therefore has a longer life span than mild steel, the material used to manufacture most designer radiators. The combined advantages of aluminium result in a range with exceptionally high heat outputs. The Torpedo Slimline range has heat outputs models exceeding 6000 BTU. The Torpedo High Output has high heat models with output in excess of 14000 BTU. Torpedo is unique in the fact that it has underside and side connection points for your radiator valves. This allows you great retro fit flexibility when it comes to installation because the Torpedo has two sets of pipe centres that you can choose from. In general, connecting your radiator valves to the underside connection points gives you the neatest finish. This is because the radiator valves are more or less out of view underneath the radiator. Also, it is a space saving option because the radiator valves do not add additional width to the radiator. 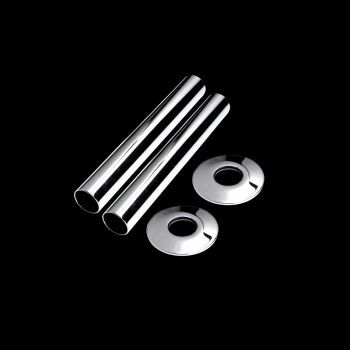 Blank plugs are supplied as standard in the Torpedo range to seal off the unused connection points. To buy radiator valves to connect to your Torpedo, see the Accessories category. The 1800mm high and 1500mm high Torpedo High Output models can also be fitted horizontally but the heat output is reduced by 25% because it does not work quite as efficiently in this orientation. The 600mm high models are designed to be horizontal so there is no loss of heat output at all. Please do not compare this range with cheap, lower quality, lesser specification models sold elsewhere. We cannot be beaten on QUALITY for the PRICE. We do not engage in fake discounts or over inflated R.R.P prices. Instead we focus on design, quality and superior manufacturing.